Description: Bright, spacious and immaculate condo w/2 bedrooms and 2 baths, within minutes of all the conveniences of the Kerrisdale and Dunbar areas. Wonderful open plan w/great space for house sized furniture. Beautifully updated w/crown mouldings, laminate floors and built in cabinetry in LR. 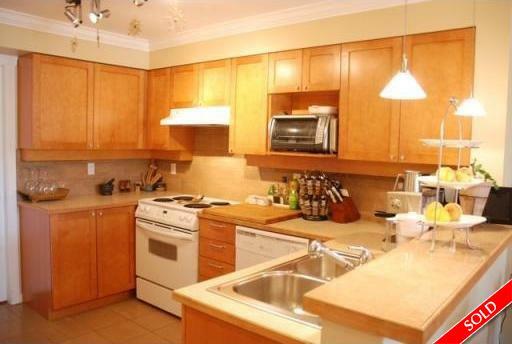 Excellent gourmet kitchen, walk-in pantry and super office or den space at the front. Gas F/P in living room. Beautiful S facing covered deck. Ideal for all weather BBQ's. Transit and shopping right outside the door and UBC. Only minutes away. Pets okay (1 dog or cat) and rentals restricted, 2 parking stalls. A truly lovely space just 6 years old and like new.